The Internet is a cornucopia of knowledge, and videos are one of the most effective ways of disseminating information into the world. As a result, no one can blame people for wanting to download videos of all kinds. There are so many video downloading software on the market, so how do you choose what you should use? It’s going to be a matter of opinion in the end, and in my opinion, the Ant Download Manager and Video Downloader by antGROUP is one of the best software for this purpose. It can’t just download videos, it can also manage and organize your downloads. Before getting onto the initial impressions, we should talk about the installation process. The installation wasn’t confusing at all. It was quick, simple and easy. The Ant Download Manager and Video Downloader does not require any additional software installation in order to work. However, make sure that you install the browser extension of the program in your browser. While this isn’t strictly necessary since you can still use the program without it, it actually speeds up the downloading process quite a bit. When you first launch the program, you’ll be greeted by a dialogue box that has a collage of pictures with tips on how to use the program. The picture collage is extremely confusing and actually looks like utter nonsense. Just close that screen and move on to the actual program. The Ant Download Manager and Video Downloader has a pretty unique design. It has a blue, white, and orange color scheme. The font they used is large and bold, and their ant mascot can be seen at the top of the program. It’s also one of the icons. Overall, it looks a bit cartoonish. It’s not necessarily a bad thing, but it may not be everyone’s cup of tea. The icons are adorable, however. The speed icon changes depending on your choice. It looks like a rocket at high speed, and car at medium speed, and a snail at low speed. The interactivity is endearing. The interface of the program is a bit confusing at first, but once you take a good look at it, it’s actually pretty simple and straightforward. There are command buttons at the top where you can choose to add, pause, stop, or delete downloads, change the aforementioned download speeds and configuration, send a bug report, or close the program. Below the command buttons is a window where your downloads are displayed, and to that window’s left is a panel with filters to help users sort their downloaded videos. The Ant Download Manager and Video Downloader is a very effective download manager. It may seem like a very confusing software but it’s actually pretty easy to use and understand. 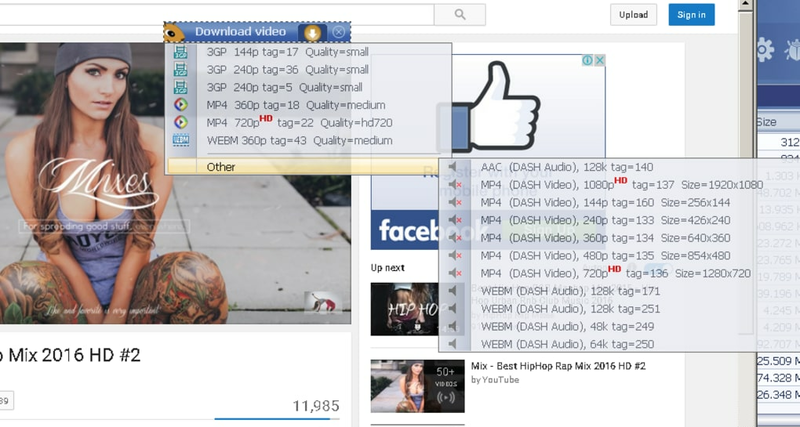 You won’t have a hard time downloading videos using this download manager. There is no doubt that using the Ant Download Manager and Video Downloader, you’ll be able to get all of the videos that you need with speed and efficiency. Ant Download Manager is a quick downloader of internet content with video download supports. supports HTTP(S), FTP(S), RTMP(x) protocols, downloads by categories and speed acceleration, multilanguage support, animated preview of downloaded item of list, portability, Drag&Drop and no any spyware or adware! Supports various video services (Youtube, Vimeo, DailyMotion, Rutube etc.). There are conversion and merger for Youtube DASH files. For fans of video there are 2 ways to download movies: the dialog box of the internal interface of the program or the button-panel who integrated into browsers. It appears above the video frame at the starting time of the video stream. What do you think about Ant Download Manager and Video Downloader? Do you recommend it? Why?